Rooms 6, 7, 8, 9, 10, 12, 14, 15, 16, 18, 19 & 21 are all located in the upstairs of the hotel. Room 9 has a queen sized bed, an original clawfoot tub with a shower surround and has been updated with mini-split heating and cooling. Room 10 is our only suite. The room has a queen sized bed and a sofa with a full sized pull out sleeper. The suite also has its original clawfoot tub with a shower surround and has been updated with mini-split heating and cooling. Room 8 & 12 each have the original clawfoot tub and each has been updated with mini-split heating and cooling. These rooms have queen sized beds. Each of the other rooms are in the process of being refreshed. 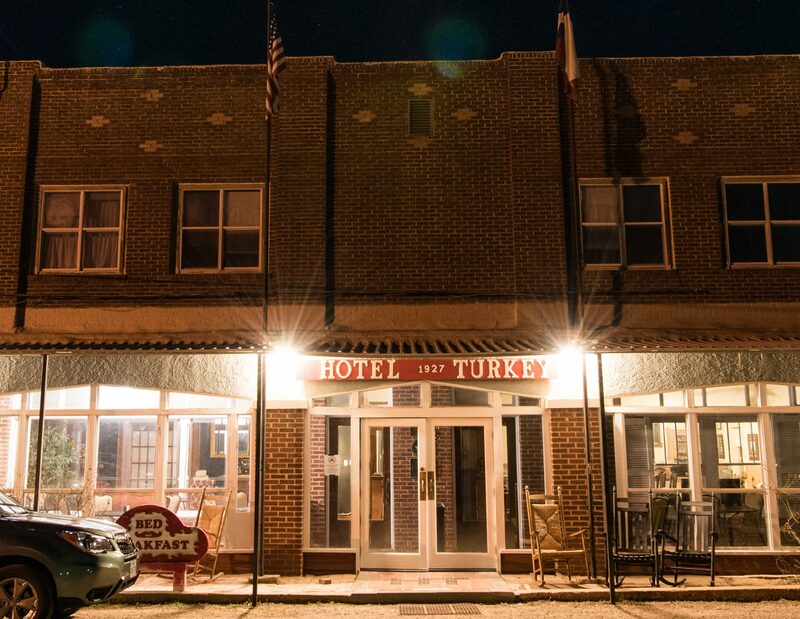 While keeping the historic feel of the hotel, the rooms have been updated to accommodate couples, families, hunters and other travelers. Room 6 & 7 have full sized beds & their own bathroom which includes a clawfoot tub with a shower surround. Room 16 has a queen sized bed & a bathroom which includes a clawfoot tub with a shower surround. Room 21 has two full sized beds and its own bathroom with a clawfoot tub with a shower surround. Room 15 has two twin sized beds. Room 14 has two full sized beds. These rooms have access to a hall bathroom with shower, sink & toilet.